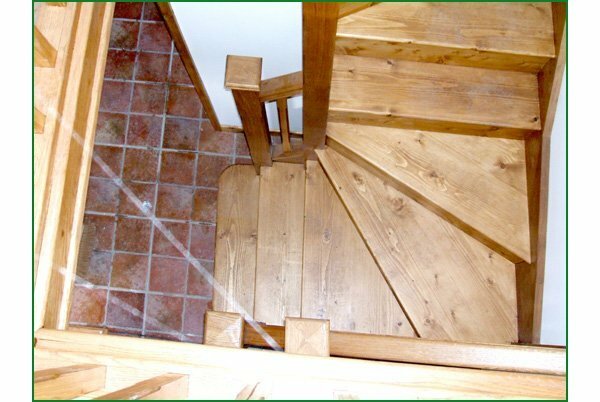 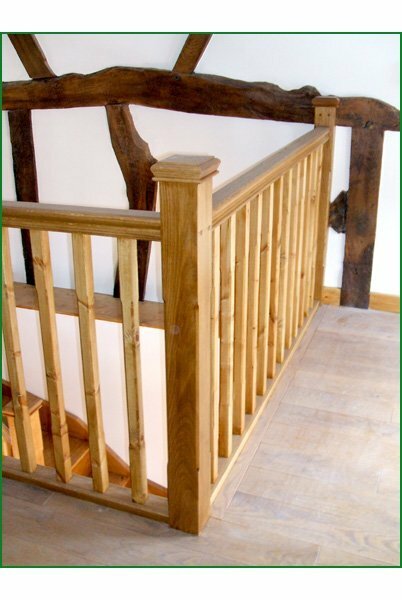 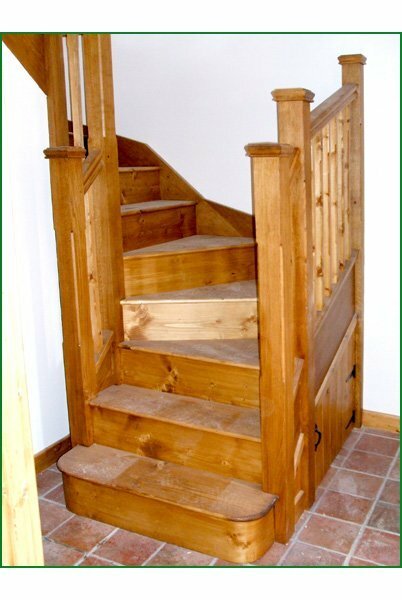 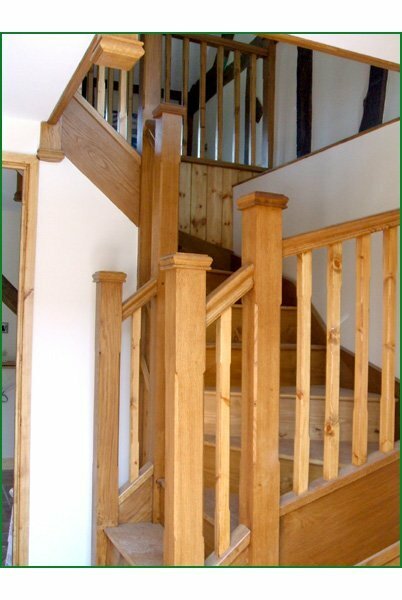 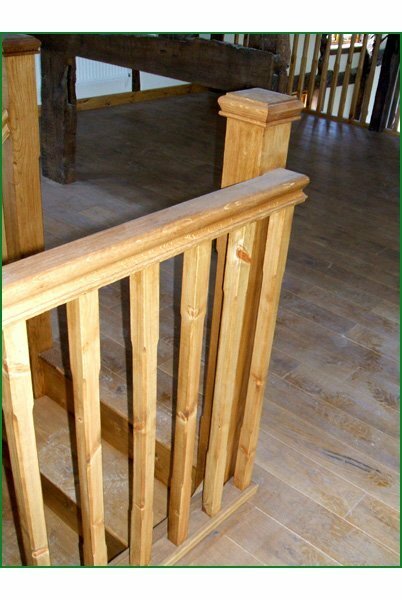 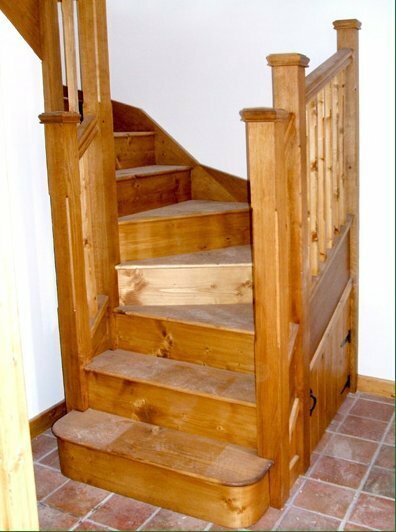 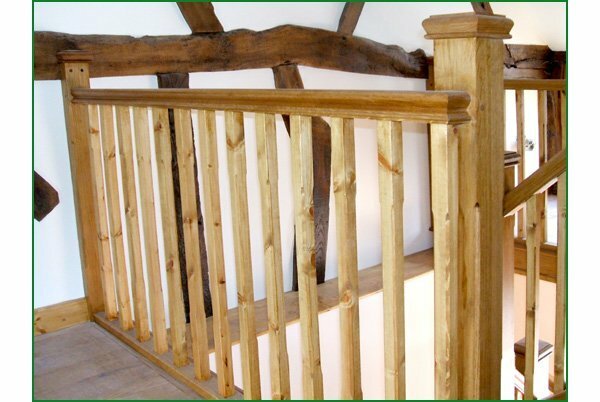 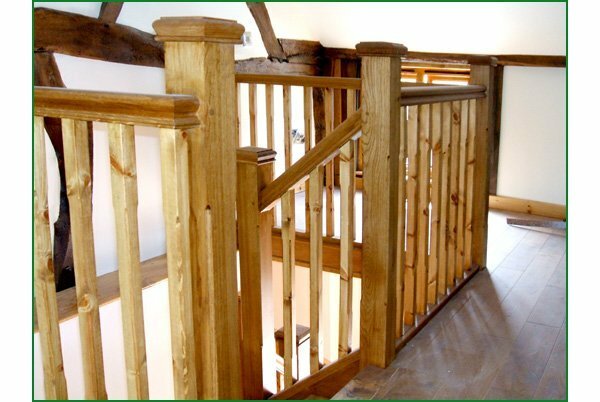 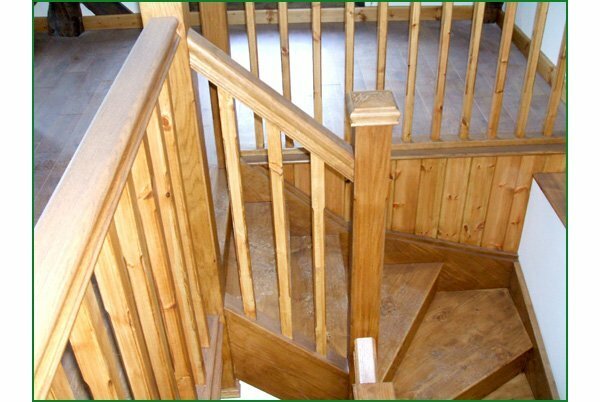 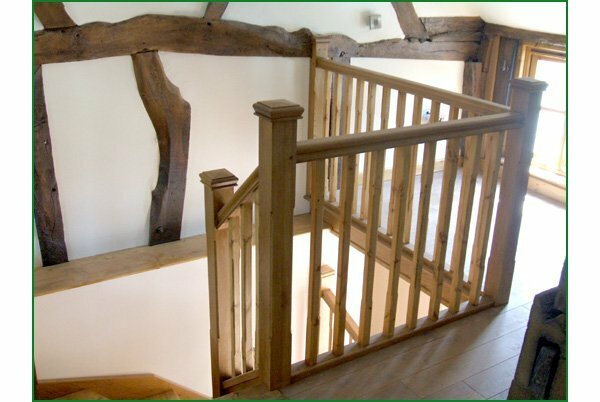 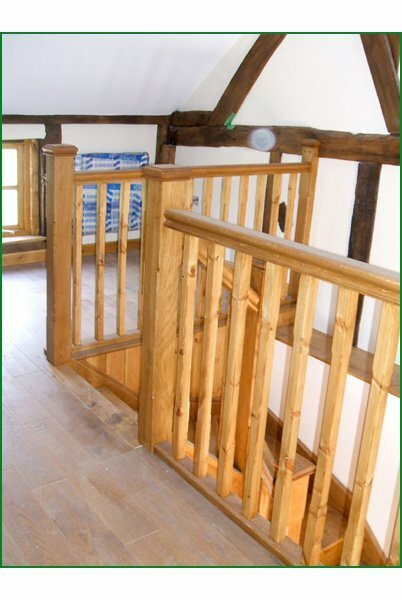 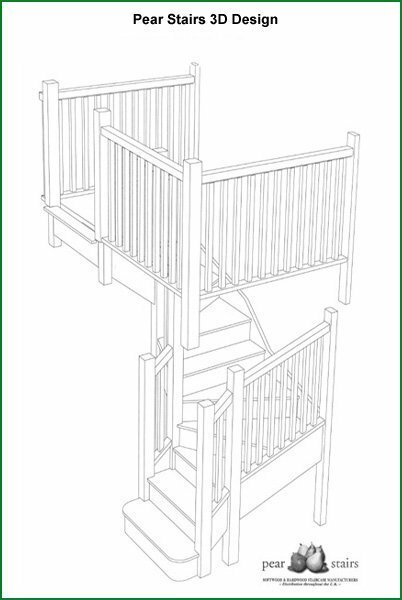 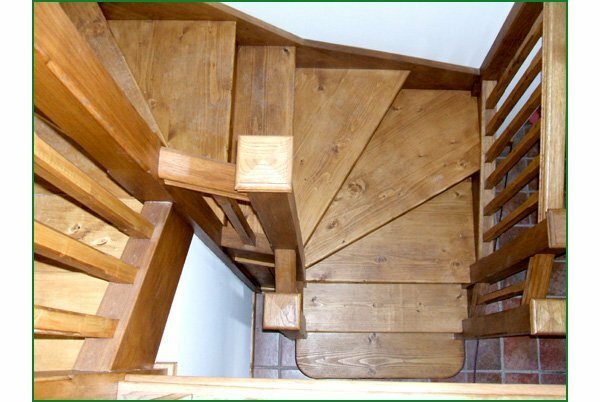 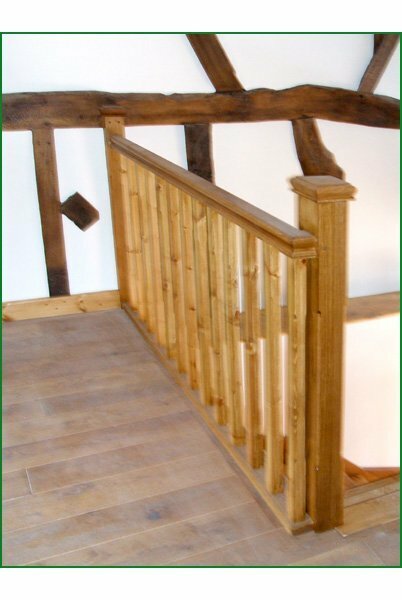 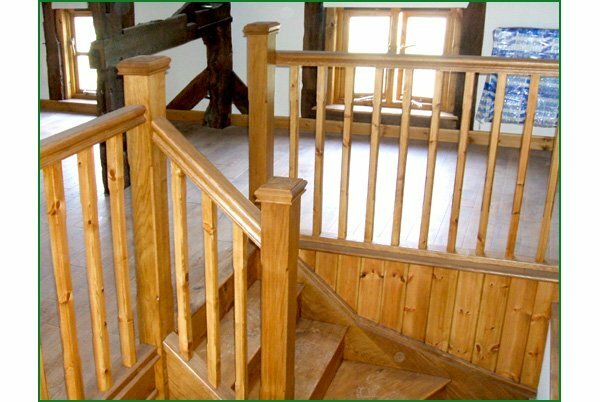 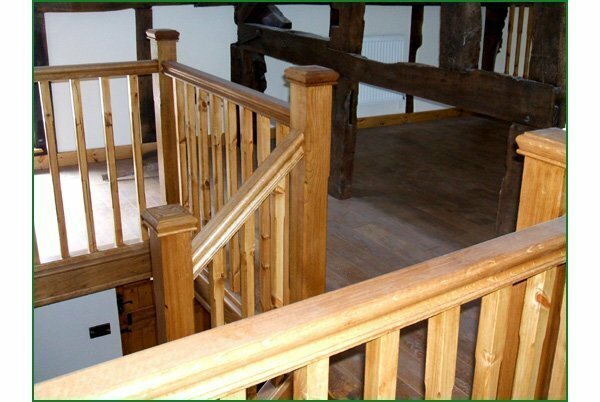 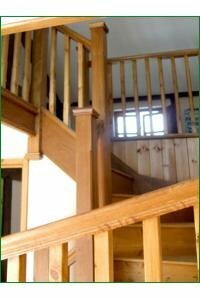 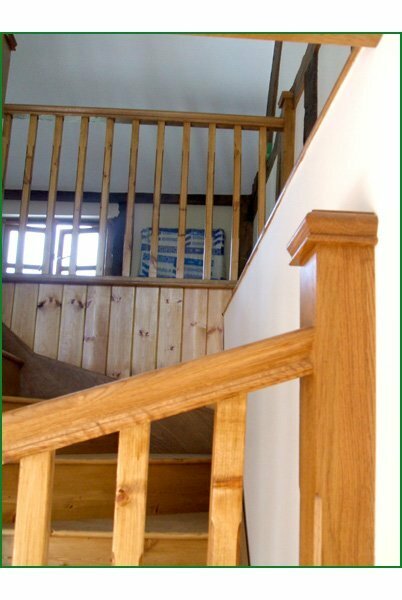 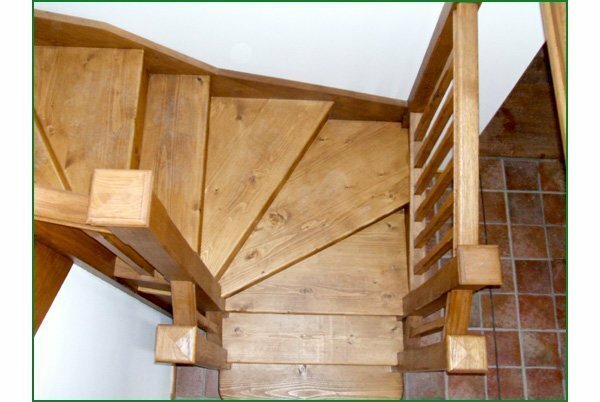 This double winder staircase has pine stop-chamfered spindles with oak stop-chamfered newels, completed with oak pyramid caps. 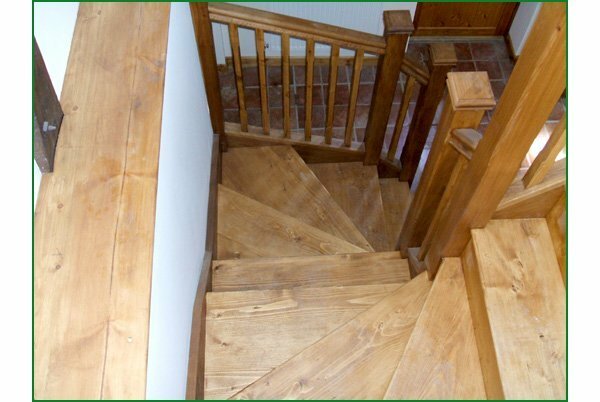 The treads and risers are pine. 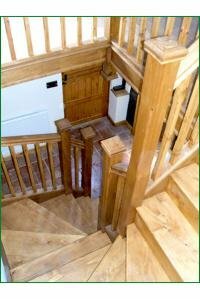 I can't praise Pear Stairs enough. Their staff are very friendly and helpful and their knowledge of stairs is second to none. 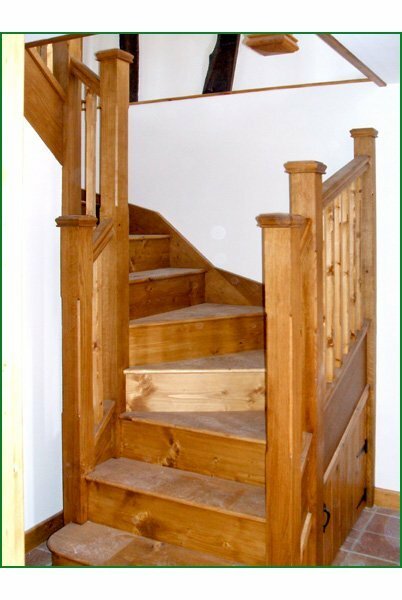 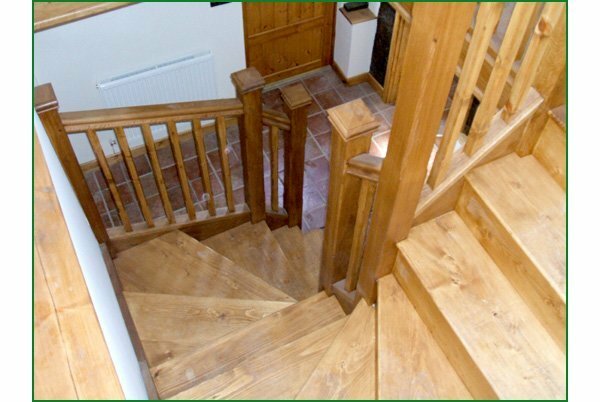 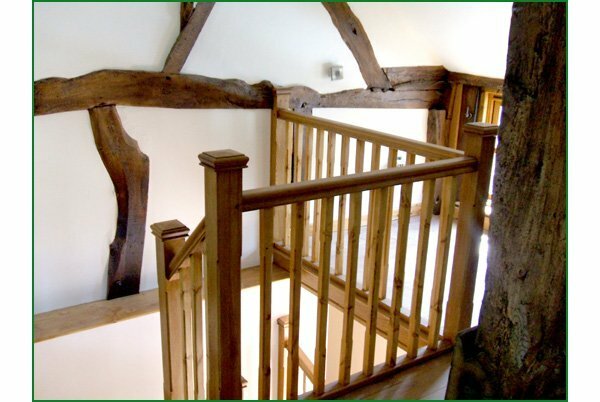 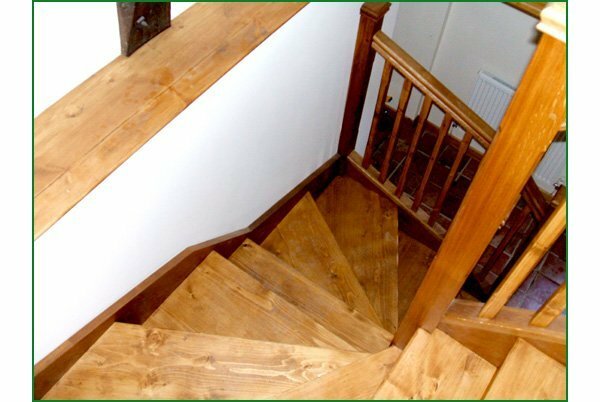 I have no hesitation in recommending Pear Stairs - you won't be disappointed.